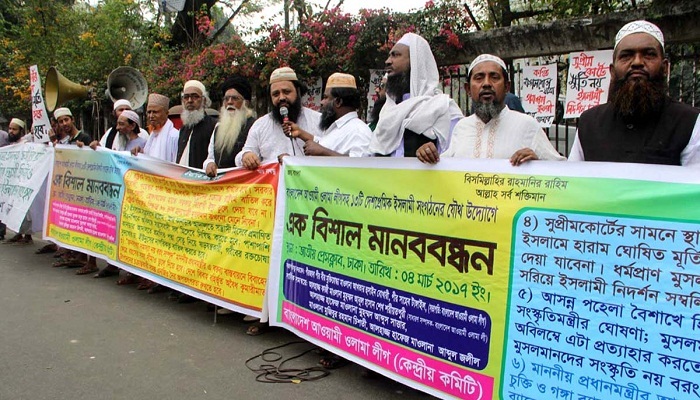 Dhaka, 4 March, Abnews: Bangladesh ulama League has demanded the removal of a sculpture of Lady Justice from the High Court premises on Saturday. The organization made a human chain in front of national press club demanding the removeal of the statue. They said must to remove the greek statue within 15 days otherwise they will march to High Court (HC).